You can book, change or cancel your cooktop repair appointment at any time online or over the phone. We’ll update you about your cooktop repair appointment via text, email or phone–whichever you prefer. Sure, we all know it’s best to clean burner grates and racks as soon as possible after a spill — but most of the time, getting dinner on the table takes priority. Now you’re left with the sad reality of hardened gunk. Try plain, old dish soap and... Read more . 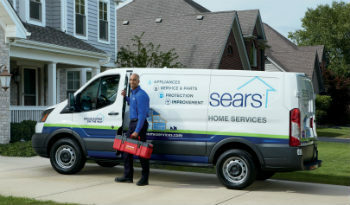 Whether you’re looking for Cooktop maintenance, need your cooktop repaired or are in the market for a brand new top-of-the-line cooktop, Sears Home Services can help. We’re your best, most-trusted option for fast, quick, and easy local service, repair, and maintenance of your cooktop. Whether you’ve got a shorted out ignition switch, or your cooktop just isn’t heating properly, we’ll connect you to the best local cooktop service technicians in the business. Technicians that are highly trained, licensed, vetted, nearby, and guaranteed to help fix all of your cooktop needs. We have thousands of local technicians that are always “near me,” that can help you no matter what your appliance emergency.